This weekend is kind of quiet here in the Carlisle area BUT there are still plenty of things to do! 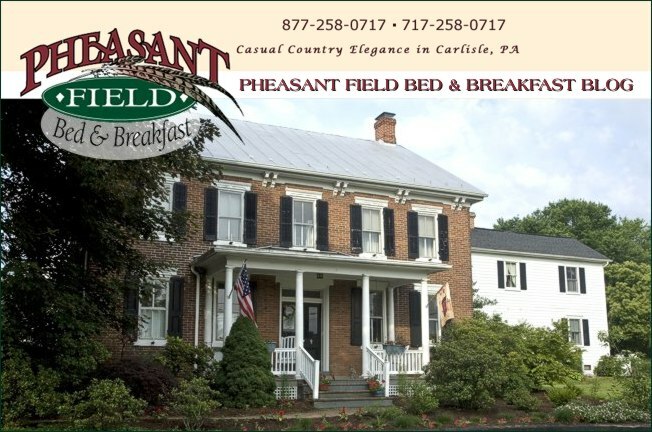 When you stay at Pheasant Field Bed & Breakfast, you can receive a FREE movie ticket (and popcorn!) at The Carlisle Theatre. This weekend the independent film "Lorna's Silence" is playing. Discount shopping at participating Rt15 Artist Trail galleries. These galleries feature local artists and artisans. Start your Christmas shopping now! On Sunday, you can enjoy a rock/folk music legend - Arlo Guthrie. He and his family will perform in Harrisburg. Come rock the night away! Finally - GO Messiah Lady Falcons! "Messiah — ranked atop both the NSCAA/Adidas Top 25 and the D3Soccer.com Top 25 for the week — has now outscored its opponents 53-5 on the season."